1-on-1 counselling is a powerful way to transform your life. 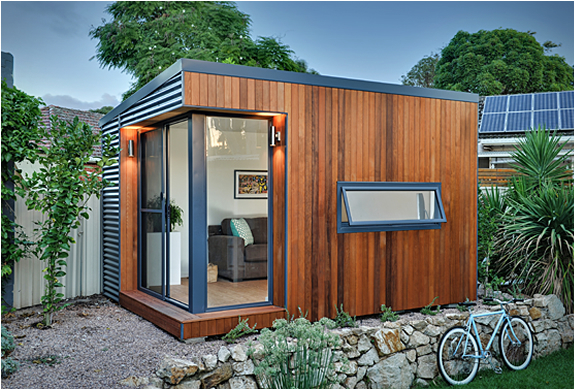 I built this counselling office in Hazelwood Park, South Australia in 2013 and have been using it for sessions ever since. These 60-minute individual therapy sessions will give us time to work towards unlocking your desired outcome. Being an outcome-focused therapist means that I am always monitoring our progress. We will do this session to session to ensure that we are achieving our goals and improving as needed. Research suggests psychotherapists who elicit feedback from clients deliver greater outcomes. We are all about the outcome. Let's get started by booking a free initial assessment for us to connect with your goals and feel out if I may be the right therapist for you. When choosing a helping professional, you should feel listened to and as though my approach will be helpful for you. Out of hours sessions are also available by appointment and can be scheduled by emailing me here. When working with children and adolescents, it can be useful to get out of the office to do engaging activities together. Incorporating my adventure therapy experience, I have seen fantastic outcomes and have received great feedback from our young people with this work. With so many incredible places to adventure in Adelaide, I have provided counselling sessions while kayaking with dolphins at Garden Island, rock climbing at Morialta and hiking near Waterfall Gully. If you're interested in learning more about these experiential sessions, you can contact me directly on 0477161768. Parenting is the most important job any of us will do and seeing our children struggle adds to its difficulty. I offer individual support for parents by providing counselling sessions and coaching through difficult times. These sessions can be scheduled as a phone, Skype or email consultation as well as in-person at our Hazelwood Park counselling office. I also provide a free fortnightly newsletter for containing parenting tips and run a parent support group in the Adelaide Hills. My practice is all about doing what works. This means using evidence-based methods of counselling and psychotherapy. This is called Feedback-Informed Treatment which means that I aim to do more of what works for real people by allowing you to inform me to when my approach is working and when it is not. Similar to customer feedback in business terms, feedback is seldom used by psychologists, social workers or counsellors. Especially not with children and adolescents. I have written about these processes on a blog here which you can look at if you are interested in learning more about how we see that you're getting better and that counselling can work for you. My individual rates for counselling in Adelaide is $150.00 per session. This can be paid in cash or by funds transfer. The services are not covered by private or public health insurance. Sessions booked in a package of 4 will include a weekly 15-30 minute phone call to check in on how things have been progressing. For more information about our sessions feel free to contact me on info@willdobud.com or call 0477161768 and we can discuss how my services can work for you.